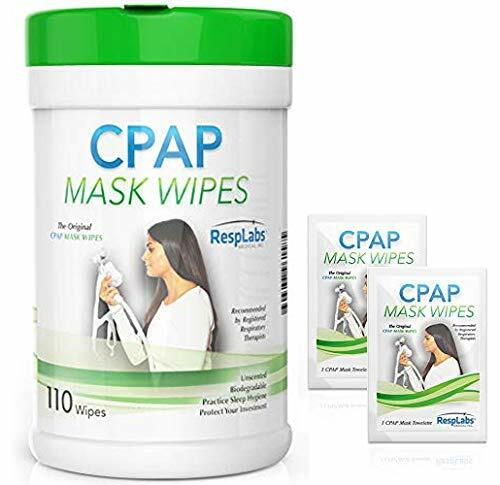 USE RESPLABS CPAP MASK WIPES for a quick daily cleansing of your CPAP mask at home and on the go. REMOVE DIRT, grease and grime that naturally accumulate on your mask, machine and hose. IN A HURRY? NO WORRIES. RespLabs CPAP mask wipes are your solution when there is no sink to rinse or soak in. BIODEGRADABLE wipes. Discard in the trash. Final Price as low as $8.49 Shipped!